Home Blog How Do You Celebrate Valentine’s Day Now That You Have Kids? 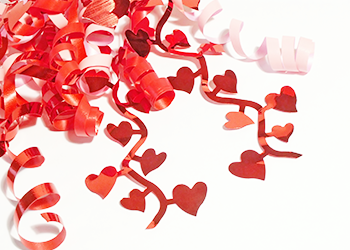 How Do You Celebrate Valentine’s Day Now That You Have Kids? Before we had kids, my husband and I always celebrated Valentine’s Day at home, just the two of us – it was quiet, nice and romantic. When we became parents, however, things have changed, and Valentine’s Day received a whole new meaning. Before the kids, it was only a couple’s celebration – more of a romantic holiday, parenting turned it into a family celebration. Ever since our kids were just babies, we were excited to include them in our little celebrations. I remember our daughter sitting next to us on her highchair and making adorable faces as she was devouring chocolate pudding with her daddy during Valentine’s Day dinner. As our kids began attending day care, Valentine’s Day evolved yet again. It started with a ton of Hershey’s chocolate kisses, pencils and hand-made cards our kids brought from day care. The kids excitedly looked for our reactions as they shared their hand-made cards sealed with kisses. In return, they always demanded a candlelight dinner, spread on the floor “picnic style.” And, somehow, Valentine’s Day evolved into a very loud and busy occasion. Funny enough, I realized that I began to look forward to each Valentine’s Day more and more! As our kids grew older and started school, we’d bake brownies and cookies together and make hand-made Valentine’s cards for their friends and teachers. The kids would take them to school the next day and come back with lots of chocolates, cards, and small presents, all excited and happy. Every Valentine’s Day I really enjoy planting small love notes throughout their rooms, in their backpacks, toys, in their closet. The surprise on their faces is priceless and brings so much joy to me! This small gesture carried over into other days as well, but what I didn’t expect, is that now I find love notes from kids all around my stuff!!! Now our kids are older (9 and 14) but we still enjoy this day. Our son (who’s 9) approaches Valentine’s Day with affection and appreciation. He really enjoys giving and receiving lots of hugs (and I’ll take whatever I can get!). Our teenage daughter (who is 14) approaches Valentine’s Day with humor. Apparently, for this age group it’s all about a love affair with food. So this year, my task is more than ever to make it a foodie paradise. This year I plan on surprising my kids and husband by doing something simple, yet meaningful. I saw the idea on Pinterest, and can’t wait to surprise them! TRY IT TOO: Take a pack of sticky notes and write one word per note describing your loved one. Then arrange your sticky notes into hearts. Each heart should comprise of 10-20 sticky notes, with each individual note describing you loved one using only one word – when put together, they should make up a heart. So the heart will have lots of separate words that are positive, descriptive and meaningful. So, will set the stage: nice music playing from Pandora on my iPhone, yummy smells in the kitchen, small, well-hidden presents, 3 huge meaningful hearts for hubby and kids, and lots of smiles and love. How have your Valentine’s Day evolved since you became a parent? Julia Berger is a mom of 2, certified positive discipline parent educator and a founder of Everyday Parenting. If you catch yourself yelling at your kids or struggling with your child’s anger, aggression or defiance, try our interactive, guided and digital Everyday Parenting Program. It’s based on the principals of positive parenting and will help you achieve successful results in as little as 4 weeks! So get the results you’ve been looking for, START you risk-free trial now!